Bonds with low weighted average lives are more valuable. 3. When Would a Bond Be Called? Bonds typically pay back their principal, or face value, all at once on their maturity date. However, some bonds - called amortizing bonds - yield periodic payments of principal over their lifetimes. The weighted average life (WAL) of amortizing bonds represents the length of time that the dollar amount of unpaid principal remains outstanding. The math behind calculating a bond's WAL adds the individual "weighted" principal payment amounts over a certain number of years, which are then divided by the sum of the "unweighted" payments during that same number of years. Calculating WAL lets investors or portfolio managers know how quickly an amortizing bond will pay out its returns, based on the paydowns of principal. The weights in the WAL calculation are the amounts of principal that will be returned in any particular year. For example, suppose a four year, $1,000 face-value amortizing bond repays $100 in principal during year 1, $400 in year 2, $300 in year 3 and $200 in year 4. The weights are the annual principal repayments. ($100 x 1) + ($400 x 2) + ($300 x 3) + ($200 x 4), or 2,600 dollar-years. Divide the weighted total by the bond face value to get the WAL. In this example, the WAL equals (2,600 dollar-years / $1,000) or 2.6 years. 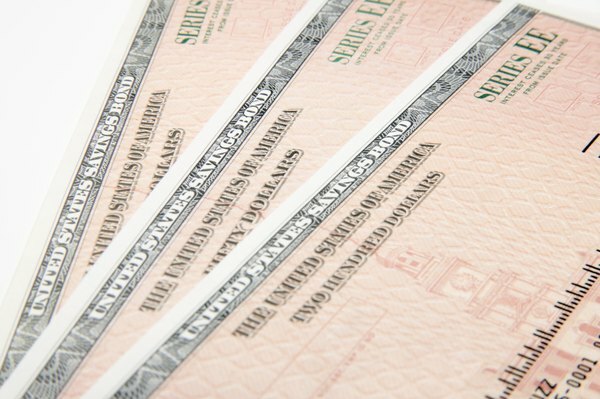 The WAL specifies the amount of time it will take to recover one-half of the bond’s face value. All things being equal, faster repayment reduces the risk that you won’t get repaid and allows you to reinvest the money sooner. Faster reinvestment can be good or bad, depending on what has happened to prevailing interest rates since the bond was issued. If rates have risen, you can earn a better return by buying higher-interest bonds with the proceeds from the original bond. The reverse is true if rates have fallen. Mortgage-backed securities (MBS) are bonds that provide principal and interest collected from pools of mortgages. Each bond has characteristics, such as interest rate and maturity date, that reflect the make-up of the mortgages in the pool. The bonds pay holders a monthly mix of interest and principal that depends on actual payments made by mortgagees. If the mortgage holders prepay some or all of their loans during the month, the principal portion of the monthly bond payment will be higher than expected. In other words, prepayments reduce the WAL of the MBS bond. While it’s true that a shorter WAL has less default risk, it also means you might receive less interest income from MBS bonds than you expected. That’s because an MBS bondholder’s interest income falls as principal is repaid, since there is less outstanding principal to earn interest. Prepayments reduce WAL, meaning less interest income is earned over the life of the bond, and that life is shortened by each prepayment. This can be inconvenient to MBS bondholders who have made financial plans based upon the expected flow of principal and interest from their bonds. For example, life insurance companies often secure their expected payouts with bond income. If the bond income drops due to a reduced WAL, they are exposed to unsecured payout risk on their policies. You can also calculate the weighted average life of an entire bond portfolio, in which each payment results from a different bond's maturity.